PARKING STALL INCLUDED. 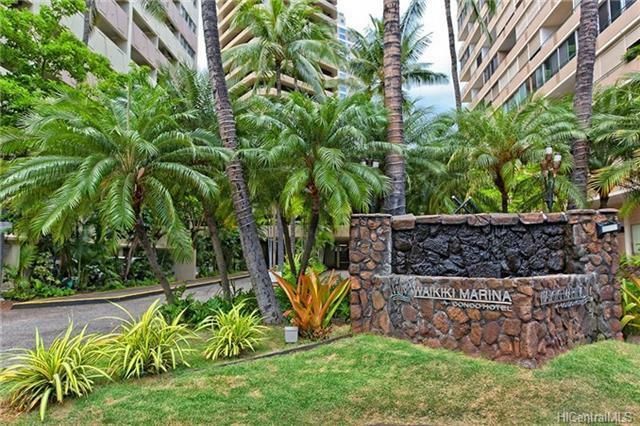 Great location in Waikiki. Perfect for nightly vacation rental for income or for personal residence. 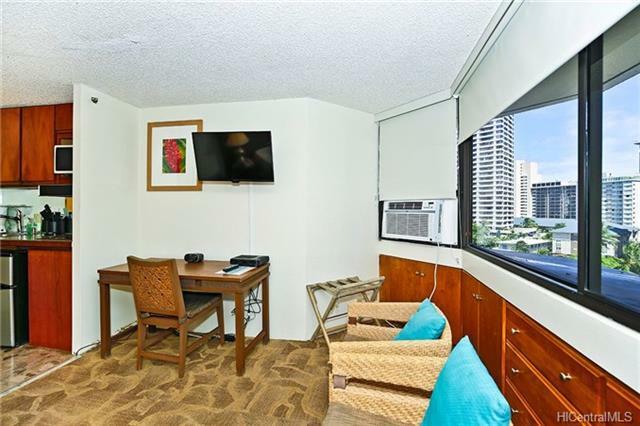 Partial ocean views from this quiet studio unit. Building set back from Ala Moana Blvd with secured entry. Only four units per floor. 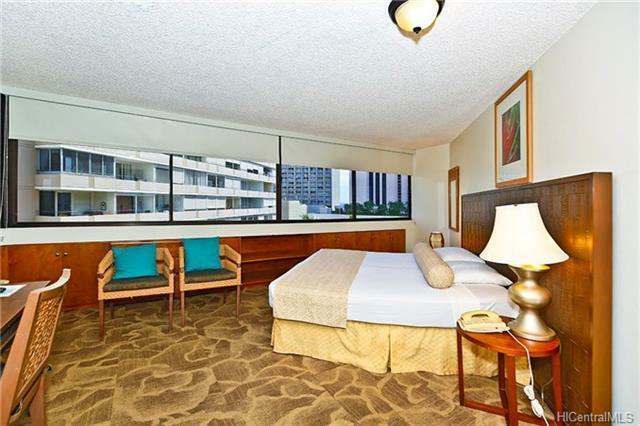 Walking distance to beach, Ala Moana shopping, Convention Center and Waikiki attractions. Newly installed carpet, blinds, AC & TV. 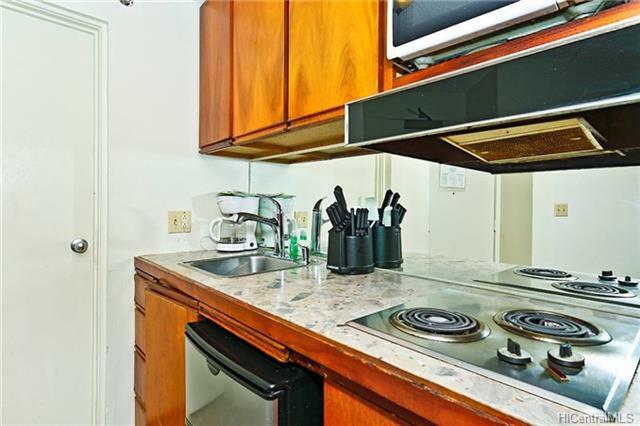 Amenities include pool, tennis court, jacuzzi and bbq area, onsite laundry. Fee available for purchase.